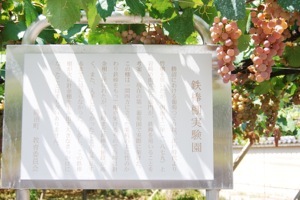 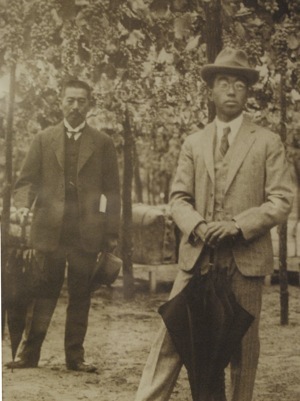 Katsunuma of Koshu city has long been famous for producing grapes. 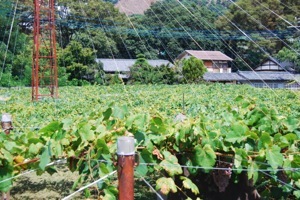 Koshuwine has been highly appreciated worldwide in recent years. 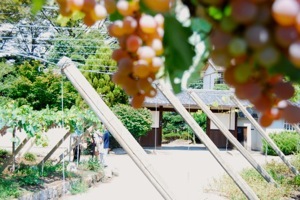 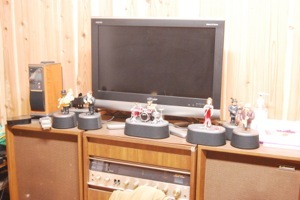 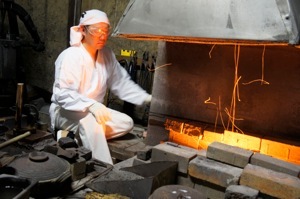 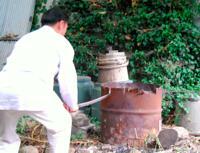 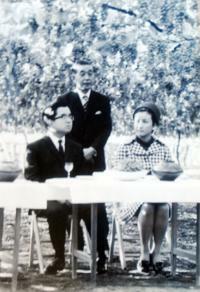 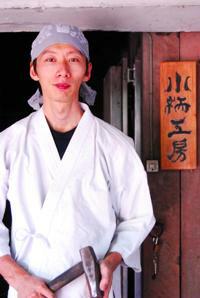 The workshop is based in Daiichi Vineyard,is Japan's oldest vineyard. 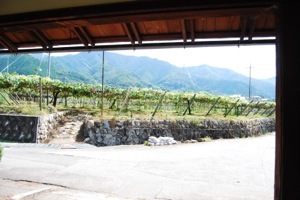 The village vineyard still has a historical and cultual atmosphere. 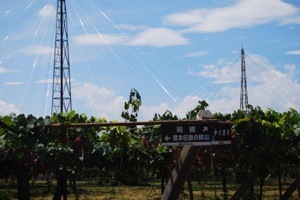 Please note,Daiichi vineyard is not avaiable to the public. 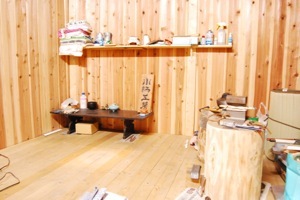 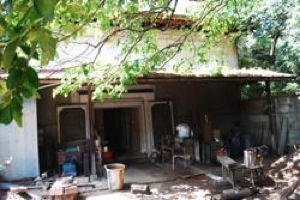 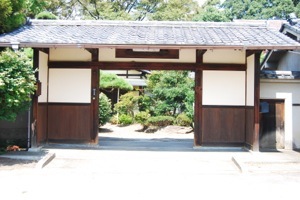 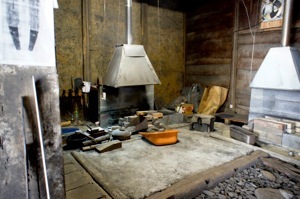 There is a storehouse situated behind the main house,which has been renovated into a swora-smith workshop. 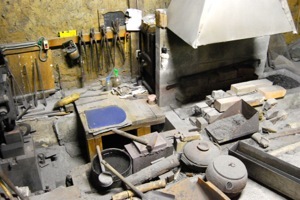 The inside of the workshop is divided into several rooms for the sword-smithing to take place.The workshop is a fun place,sometimes converted into a place of a of conversation,shared meals,drinking tea and brewing coffee while listening to some good jazz. 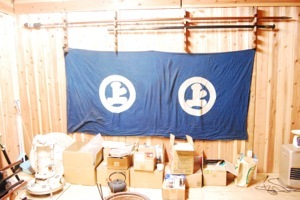 The many tools used during the workshop business flag,the hanging of two spears DVD material to learn from and listnning to Jazz music. 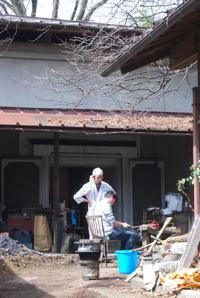 If the weather is good,work can be held in the fresh air. 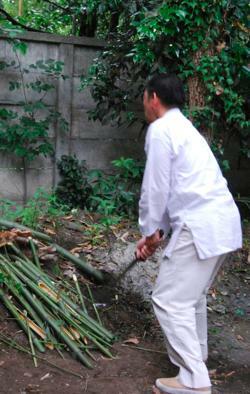 Trial cutting of bamboo. 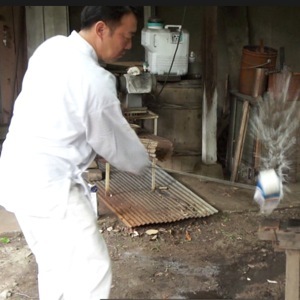 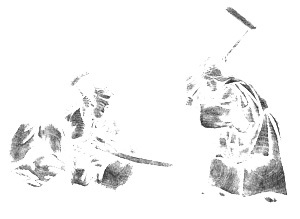 Drum crash cutting. 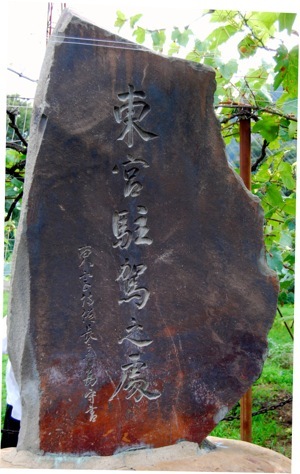 Trial cutting of iron plate.